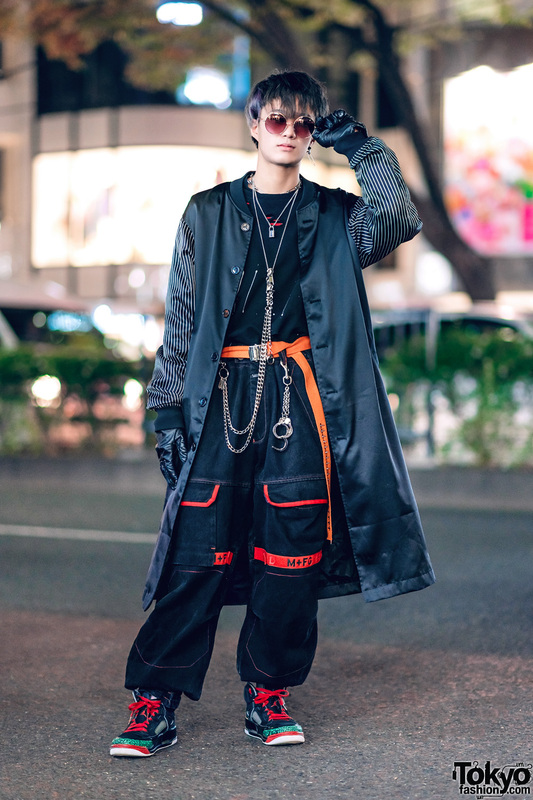 Harajuku guy in a satin coat, layered shirts, wide leg denim pants, black sneakers and silver accessories. Trilingual Japanese college student on the street in Harajuku wearing a vintage coat, vintage red bow shirt, Vivienne Westwood skirt, Dr. Martens boots, and leather gloves. 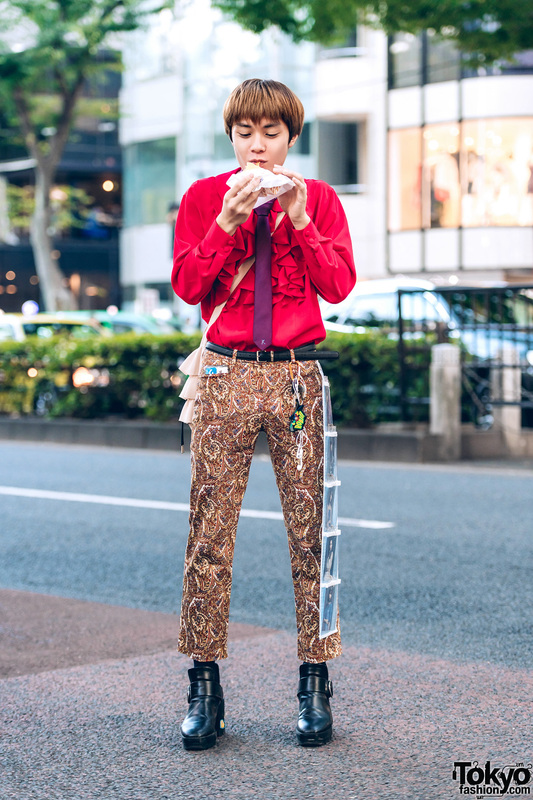 Harajuku KFC worker in stylish menswear look with red ruffle shirt, paisley print pants, heeled boots, ruffle bag and Nogizaka46 photos. 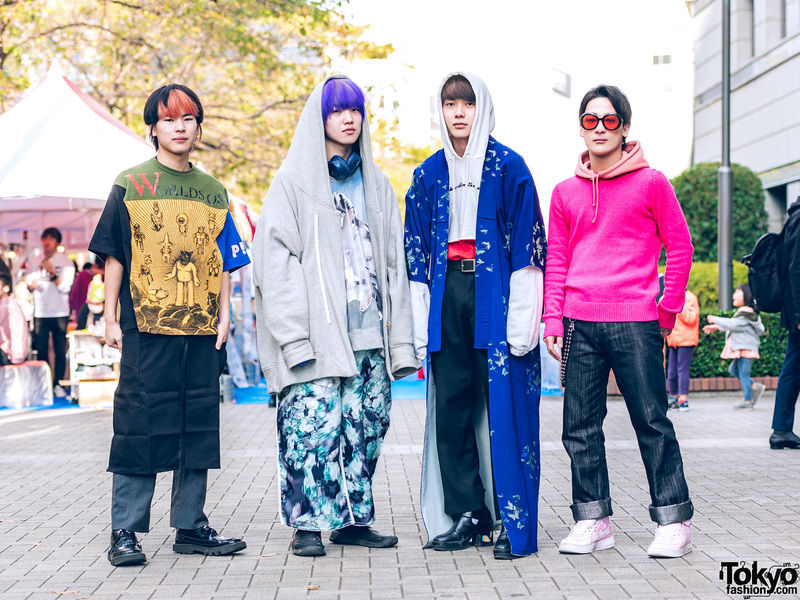 Harajuku guy squad sporting colorful streetwear looks while out and about on the street. 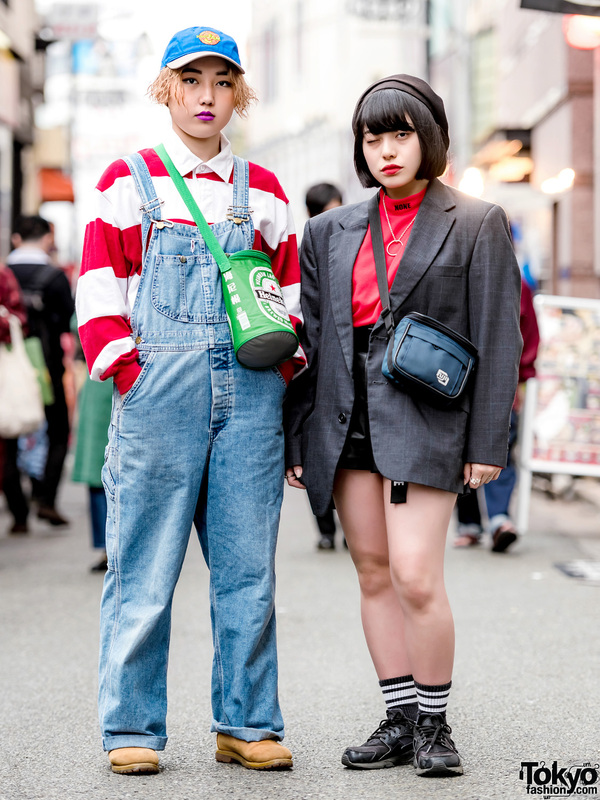 Harajuku duo showcasing colorful street styles. 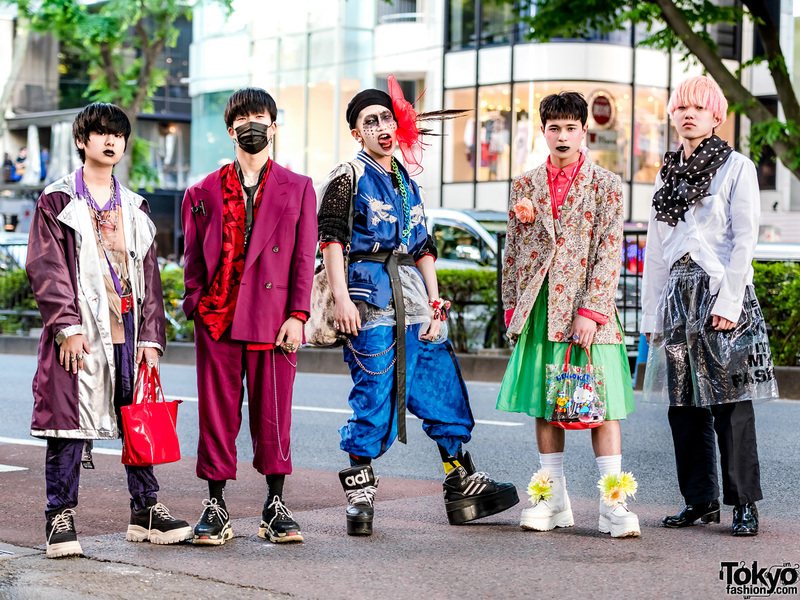 Harajuku students in casual streetwear looks while out and about on a busy street.